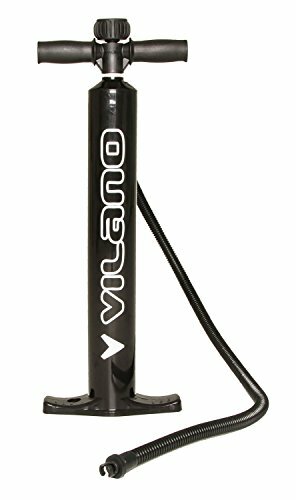 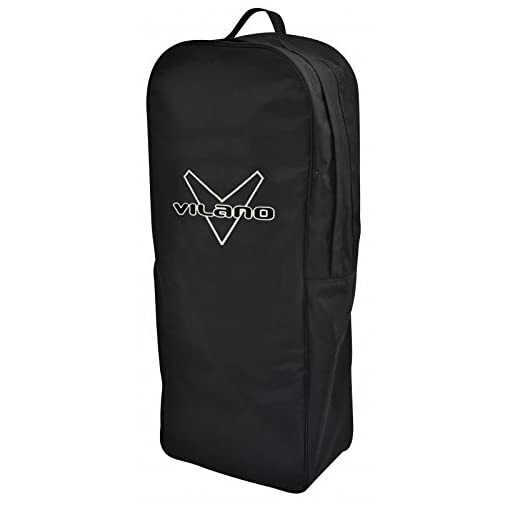 The Vilano Journey paddle board is made from the highest grade PVC using Korean drop-stitch for the ultimate in durability. 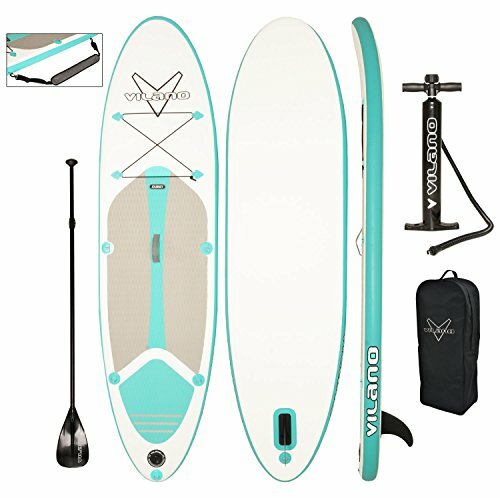 The board is designed for all day fun on the water. 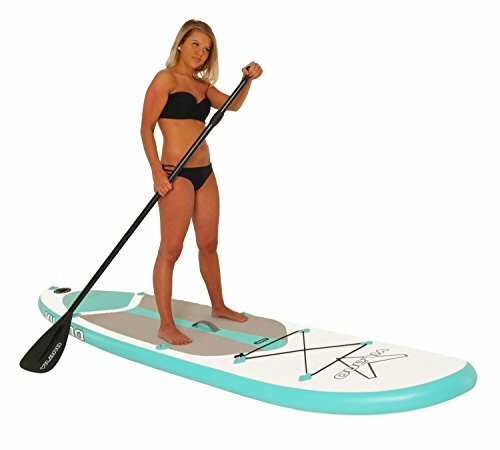 The board is 9′ 9″ long by 30″ wide, it supports a max load of 240 lbs. 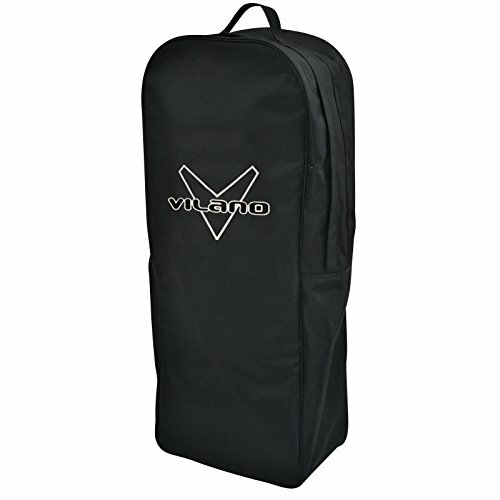 Deflated, the board rolls to 1 foot diameter by 35″ and is easy to carry with the included strap. 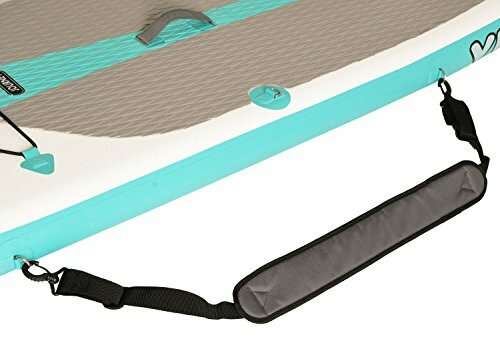 The deck is equipped with heavy duty “D” ring hooks for carrying coolers or attaching Kayak seat backrest.